There will come a time when you look at your house and think that something is off even though nothing seems changed. It’s possible that your home took quite a beating from the elements, making it look old and worn out. If you want to get rid of all the dirt and grime that accumulated over time, then pressure washing services in New Franklin, OH is the solution. The best way to get the job done is by hiring a pressure cleaning professional. Wilhelm Power Washing has been offering pressure washing services to New Franklin, OH homeowners since 1973. We dedicate ourselves to giving our clients the best service available. Our business owner, Randy Wilhelm, personally trained all the professionals in our company, allowing us to do meticulous and quality work that guarantees your home will look fresh and vibrant when we’re through. The accumulated dirt, mildew, and fungus outside your home can be a breeding ground for harmful organisms. You can have them removed with the help of Wilhelm Power Washing’s pressure washing services in New Franklin, OH. Contaminants can potentially make you sick. Through pressure washing services for New Franklin, OH homes, you can keep yourself safe from any health risk. A stunning garden is not the only attraction that your house can have. After getting Wilhelm Power Washing’s pressure washing services, New Franklin, OH residents will realize how marvelous their house actually looks. A deep clean through pressure washing services in New Franklin, OH can brighten and freshen up the façade of any home. Mold and mildew build-up can make surfaces slippery. With Wilhelm Power Washing’s pressure washing services, New Franklin, OH families can prevent accidental slips from happening. Keep your walkways clean and safe for kids and seniors through pressure washing services in New Franklin, OH. You can prevent costly repairs and replacements to your home’s exterior by getting Wilhelm Power Washing’s pressure washing services in New Franklin, OH. Regular maintenance keeps your house from aging prematurely. Additionally, pressure washing services in New Franklin, OH can boost the appearance of your property. Wilhelm Power Washing employees are experts on pressure washing services in New Franklin, OH. With more than 40 years’ experience, we can pressure clean your home without damaging any surface. Our pressure washing services for New Franklin, OH families help maintain and beautify their homes. Areas that are dangerous and difficult to reach are no match for our pressure washing services for New Franklin, OH homes. 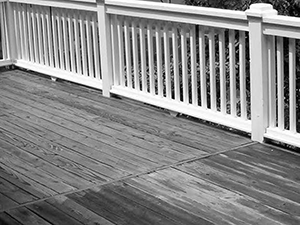 At Wilhelm Power Washing, we are trained to accomplish pressure washing services on New Franklin, OH houses with hard-to-reach surfaces, ensuring a complete and perfect wash.
At Wilhelm Power Washing, we will never settle for less when providing high-quality pressure washing services in New Franklin, OH. To learn more about how we can help you, call us at 330-477-7094 or email us at dwilh51183@yahoo.com. Get our pressure washing services in New Franklin, Ohio today! Before you or anyone else gets hurt, you should turn to Wilhelm Power Washing. With our expert power washing and painting services, we ensure that your property will start looking as good as new. We are committed to your satisfaction and safety; as such, we only use top-of-the-line equipment, paint, and cleaning solutions for each of our jobs. Since 1973, Wilhelm Power Washing has been providing expert power washing and house painting services to both residential and commercial clients in Northeast Ohio. Our dedicated staff has more than 40 years of combined experience. With power washing, all the dirt and grime on your property will be washed away. Using high-pressure water equipment, heat, and soap, we can make your home look brand new. We don’t use just any soap, either; we utilize a safe, environmentally friendly, and biodegradable cleaning solution that not only removes stubborn stains but also keeps mold from returning! In addition to offering our exceptional services at competitive prices, we also provide extra services—such as pressure cleaning out your gutters—for free! However, if that’s not enough, you can visit our website and use the coupons and specials that we’ve put up. For example, first-time customers get 10% off any of our services. Every power washing job that goes over $750 gets free power edging of driveways and sidewalks! Senior citizens get discounts on whatever service they hire us for. When your house or office needs its look updated or its exteriors cleaned, don’t hesitate to get in touch with us. At Wilhelm Power Washing, we guarantee that you’ll be getting the best pressure washing and house painting services in Northeast Ohio. Rely on us to keep your home spotlessly clean and indescribably beautiful. Call 330-477-7094 today and receive a same-day power washing quote. We would love to hear from you!